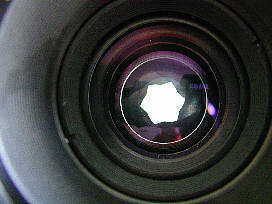 There are not much articles on the web discussing the Russian Lenses. Which I personally find odd. Not only are these lenses very good they are also low on prices. So here it is another one in my series of small articles/reviews from just another amateur photographer. Meet the Russian Macro lenses, The Volna 9 (M42) and the Industar 61 L/Z (M42). 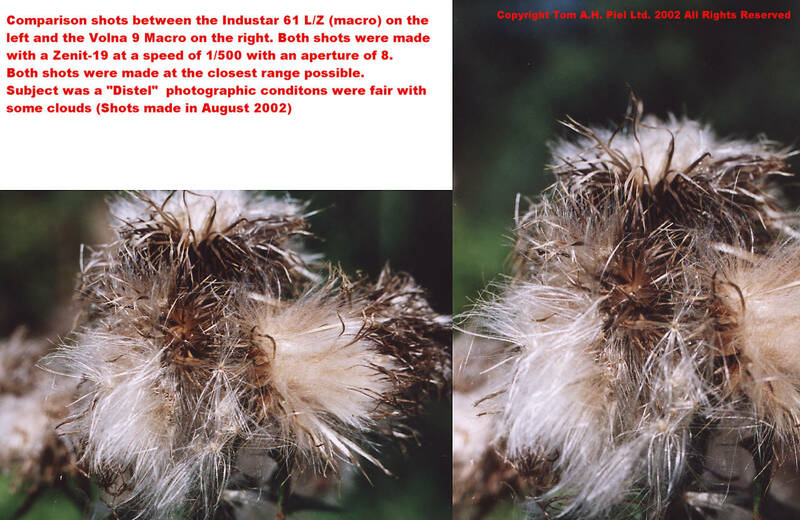 Okay... so the Industar 61 L/Z doesn't have macro printed on. It is in fact a standard 50 mm lens with a twist, it comes very close, a lot closer than any of the Helios lenses. Pherhaps there are more Russian macro lenses around. I don't know. I'm not counting the Helios 44-2 as a "true" macro lens, because it focusses down to only 45 cm. There are also some 300 and 500 mm mirror lenses around from Lzos and Rubinar around marked with Macro but I have no experience with them nor have I ever seen them in the Netherlands. The Volna 9 big lens, 2.8/50mm multicoated, focus range down to 20 cm and up to infinity. If we take the well known Helios 44-2 2/50mm as comparison than the Volna is a bit bigger. The front element is deep down in the lens which means you don't need a lens hood. It takes 52 mm filters. It has no autoaperture pin. It is a preset lens lens. At a glance it doesn't seem to have any clickstops but if you push down the front ring it works the same way as the Helios 44-2. You push down and lock it too the required aperture. 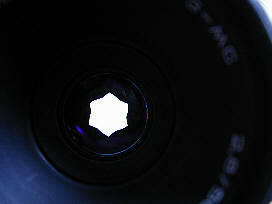 Then you can open the lens focus and close it to the preset aperture. Pricerange, 50 to 80 dollars or 55 to 90 Euros. 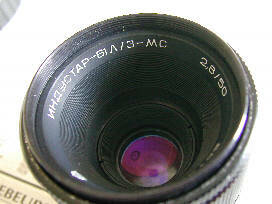 The Industar 61 L/Z 2.8/50mm with Lantane glase element(s) multicoated, focus range down to 30 cm and up to infinity. Smaller than the Volna 9 or the Helios 44-2 and just as on the Volna the front element is deep down in the lens which means you don't need a lens hood. It takes 49 mm filters. It has no autoaperture pin. 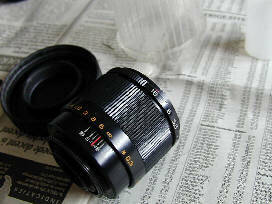 It is a preset lens lens. 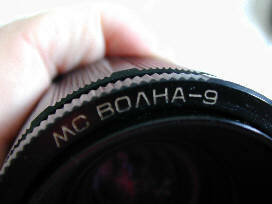 Like the Volna 9 you push down the first ring rotate it and set it to required aperture. Pricerange, 20 to 60 dollars or 25 to 70 Euros. The weird Iris of both lenses, in normal lenses the Iris forms a nice circle or an attempt to form a circle, here it is starshaped (left the Volna 9 and right the Industar 61 L/Z). Odd shape but GOOD results. Both lenses look almost similar in design except that the Industar is smaller than the Volna, smaller in fact than the Helios 44-2. Unfortunatly I have no idea about their optical formula. No filters were used in the comparison shots. Both shots were made at the closest range possible with a Zenit-19 at 1/500th with fstop 8. 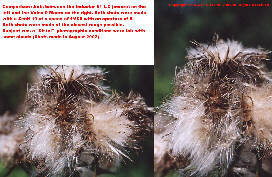 Both shots were made in the afternoon in August 2002 at fair weather with a few clouds. On both lenses I worked like this. Open the lens fully, focus and compose, close down the lens with the meter on the Zenit-19 until you hit the right exposure and shoot. It takes a bit of getting used to but works like a charm. Allthough both can be preset, I like this way better, it works faster. You can see that with the Volna 9 you can come in closer. Colors and sharpness are about equal though the Volna 9 seems to be a bit sharper but not by much. All of these shots were made with a Zenit-19. 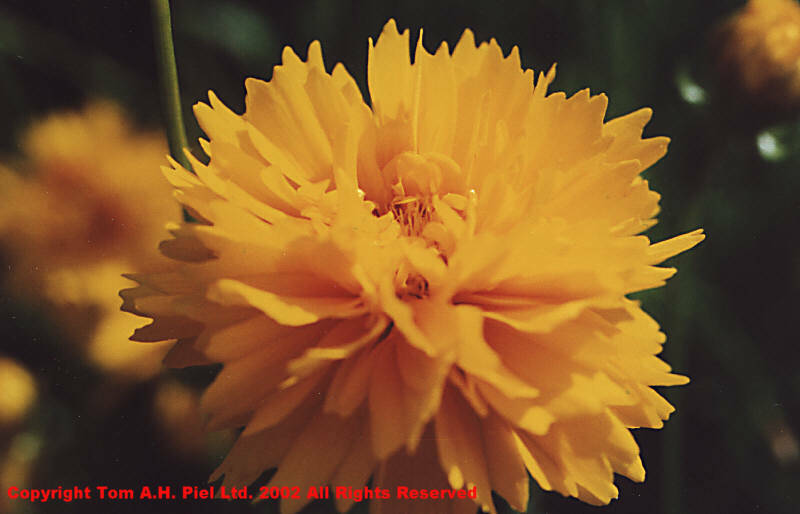 The flowershot was made with the Volna 9 at 1/250 fstop 6.3 and a polarisation filter was used to bring out the deep yellow. Distance was about 25 cm. 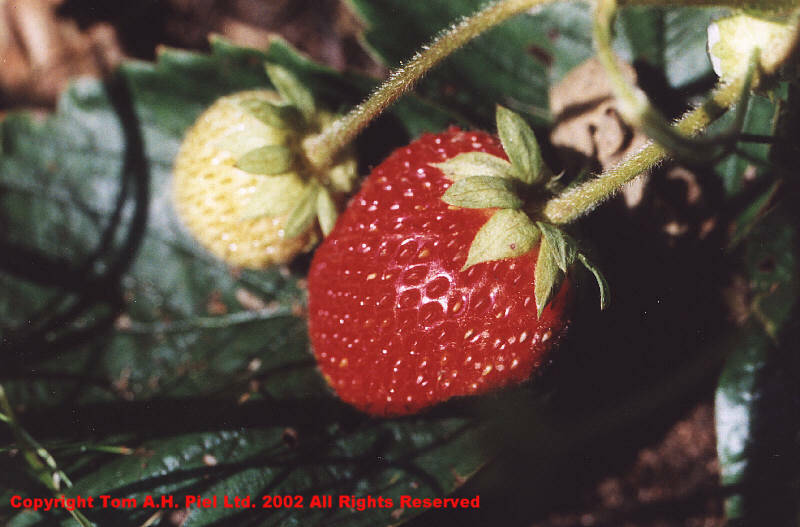 The Strawberryshot was made with the Volna 9 at the closest range possible, 1/500th fstop 8. No filters used. 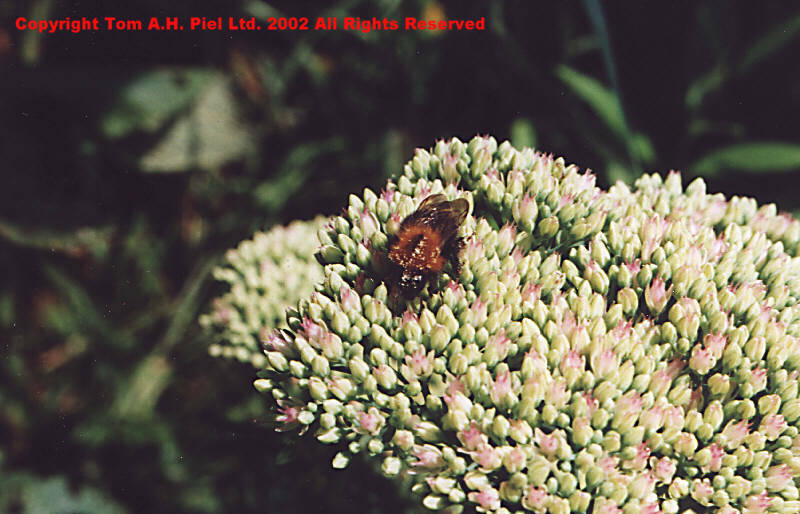 The Bee shot was done with the Industar 61 L/Z, no filters, 1/250th fstop between 16 and 11 distance around 35 to 40 cm. The "normal" shot was made with the Industar 61 L/Z, 1/250th fstop between 11 and 8. 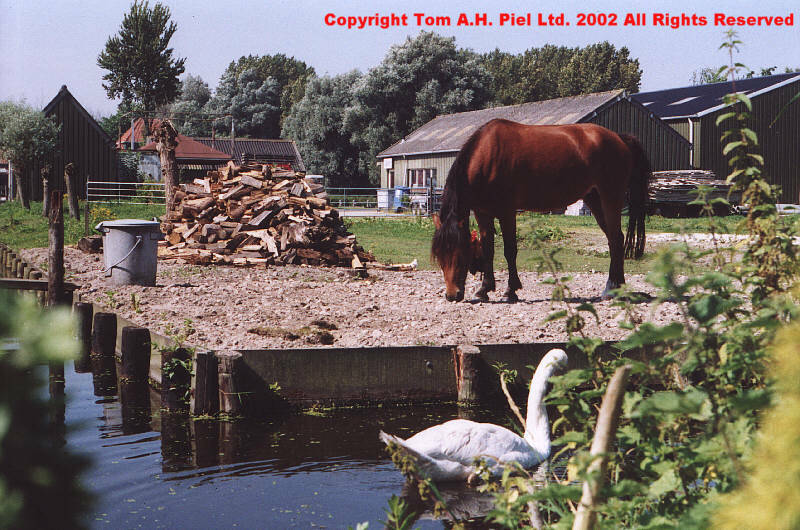 A nice example that the Industar 61 L/Z is also a very sharp lens at infinity. Though this is hardly good and sufficient testing it gives a good idea what the lenses are capable off. Both lenses are equally sharp but the Volna 9 just gives you that little extra edge in macros. Both lenses have the same features, both are preset, sometimes a bit awkward to use due to the grease that stiffens up from years of neglect, which happened to mine. Both are Multicoated. The Volna 9 has more lenselements than the The Industar 61 L/Z and is a bit sharper than the The Industar 61 L/Z but not by much. Both share the odd starshaped Iris. For general macro use, flowers, animals and stuff the The Industar 61 L/Z can't be beat for the price. 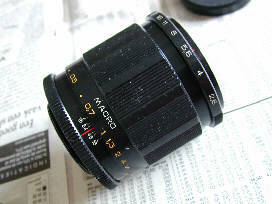 If you have the cash and don't mind the bigger Volna 9 you will get an excellent macrolens for any field use. But the big winner is the Industar 61 L/Z, the little big lens. Price quality wise it is just excellent.